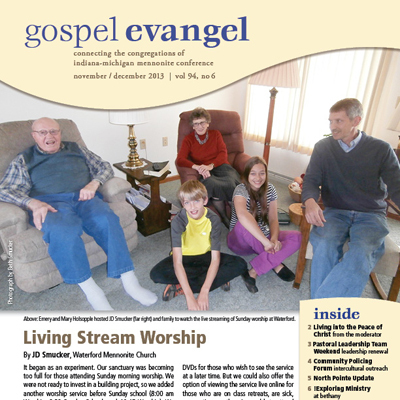 The latest issue of Gospel Evangel is here. 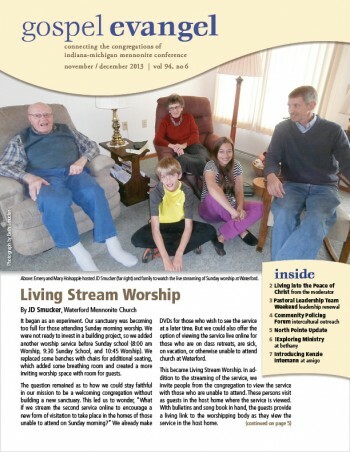 It features an article on one church’s experiment with online streaming of Sunday worship—with a unique twist There’s also a summary of the recent Pastoral Leadership Team Weekend and an article from the conference moderator, among other things. You can view the online version here.